Conveners.org Member Melton Foundation convened over 80 Melton Fellows and delegates from across the world in Ghana last month to help answer one big question: What is the role of a Global Citizen in a world that is in flux? From Springboard Sessions to Project Teams, conference participants had immersed themselves in a variety of activities that provided inspiration and tools for coming up with new ways to engage their communities as global citizens. Here is what they learned. How had participants arrived at these conclusions? 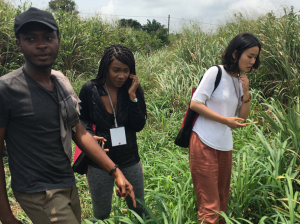 From Springboard Sessions to Hands-on Project, Melton fellows had immersed themselves in a variety of activities that provided inspiration and tools for coming up with new ways to engage their communities as global citizens. Near the conclusion of the Conference, Melton Fellows went from coming up with a simple, individual Act of Global Citizenship, and moved forward to designing and forming the Project Teams that they would be working in the year to come. A fun and interactive activity helped connect Fellows based on their shared passion for particular issues, and in small groups, they collected ideas about how to tackle the respective issue collaboratively in different locations around the globe. At the end of the session, each project team shared their vision and how they hoped to achieve their goal within the coming one year. The #GhanaGCC2017 ended on lots of potential and plans. With a mindset to soon put their plans into execution, participants charged up for the coming days, weeks, and months on campus and at work. We’ll be sharing more about their journey and #100 Acts soon! In short: It’s been a transformative and educative experience, as though seeing through a looking glass onto a world that has so much room for betterment and togetherness. Understanding our role in a constantly changing world, we dispersed with a resolve to turn that change into a positive one. The call for a paradigm shift has indeed never been more clearer. Another important take-away from the #GhanaGCC2017: a group picture. What a group! Hungry for more? Visit our GhanaGCC2017 Blog for a day-by-day account of the conference, and check out our Flickr page for more photos of the week! This post originally appeared in the Melton Foundation blog and is republished here with permission.